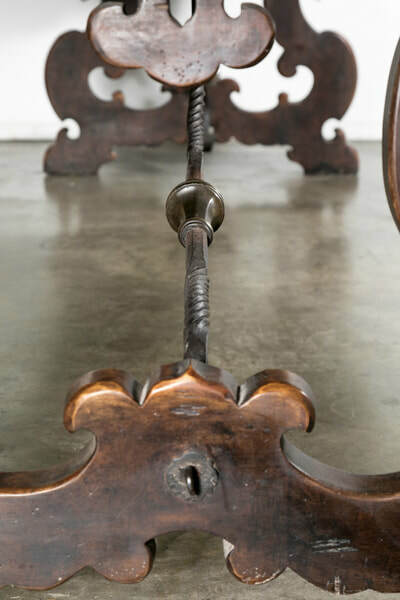 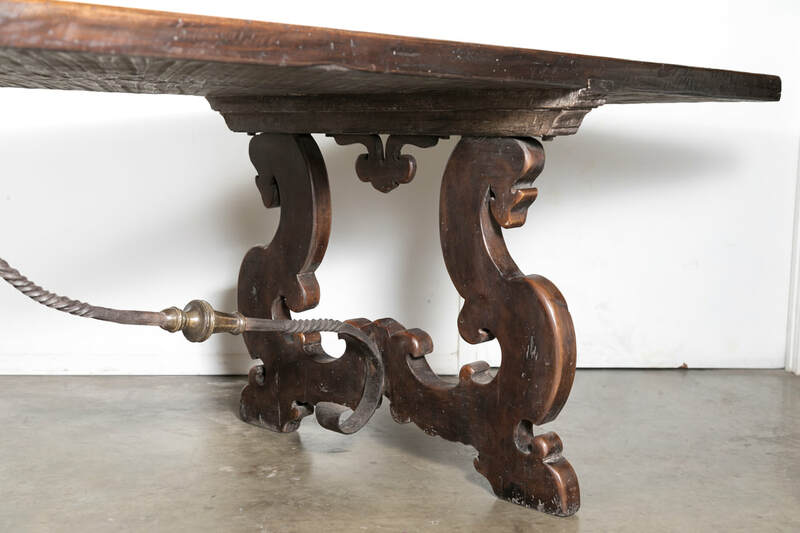 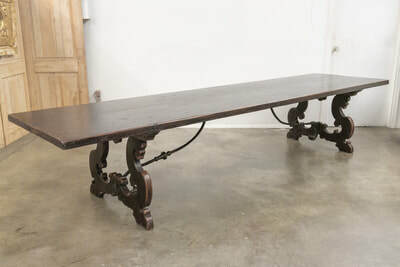 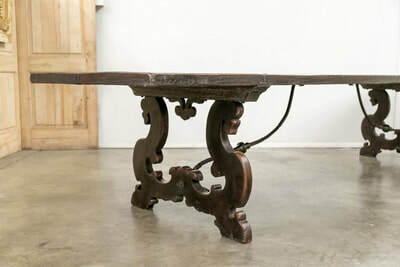 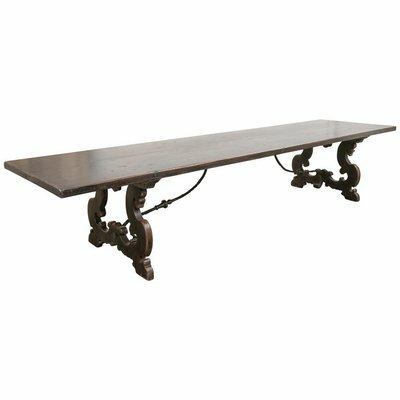 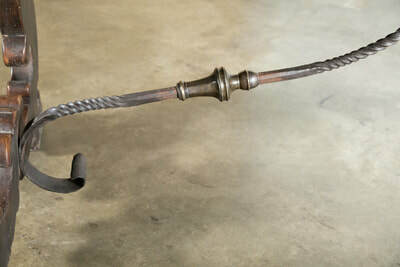 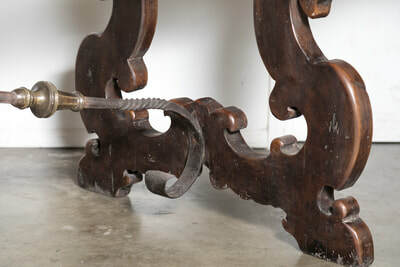 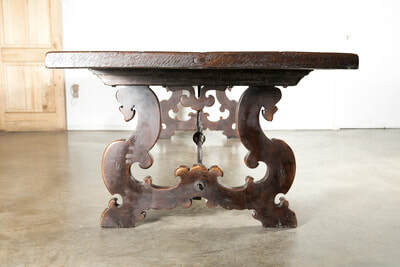 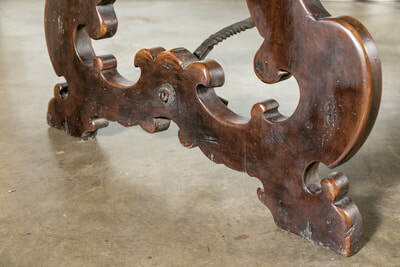 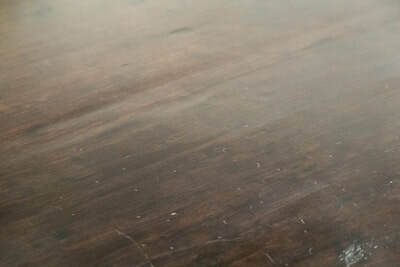 Exceptional late 19th century solid walnut Italian trestle table having an almost three inch thick two-board top with a wonderful rich color and deep lustrous patination resting on a canted walnut trestle base with the original forged iron center stretcher and two carved Baroque style flattened lyre-shaped legs. 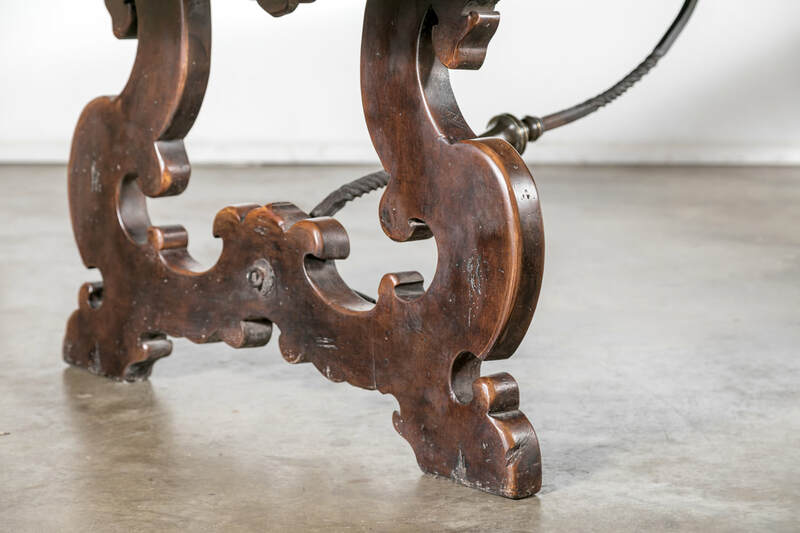 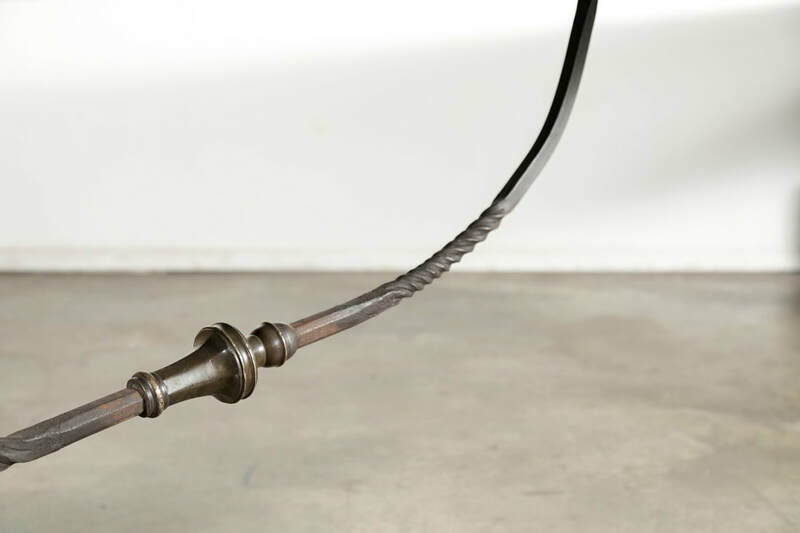 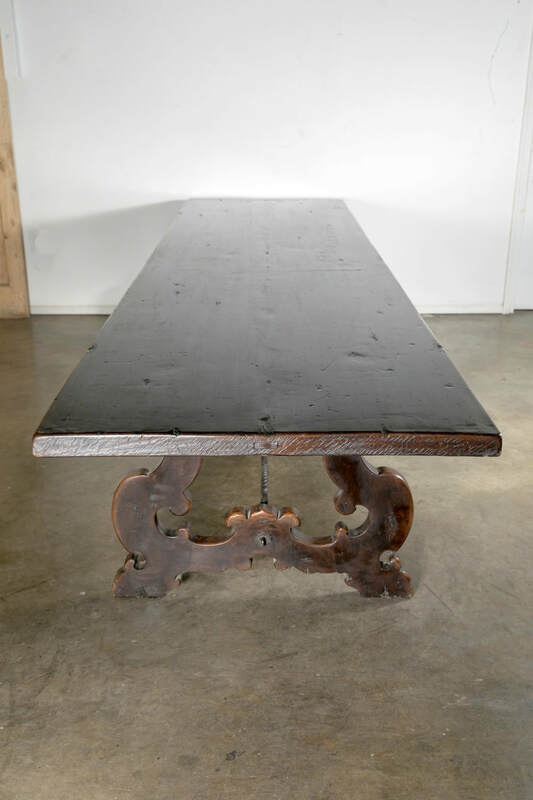 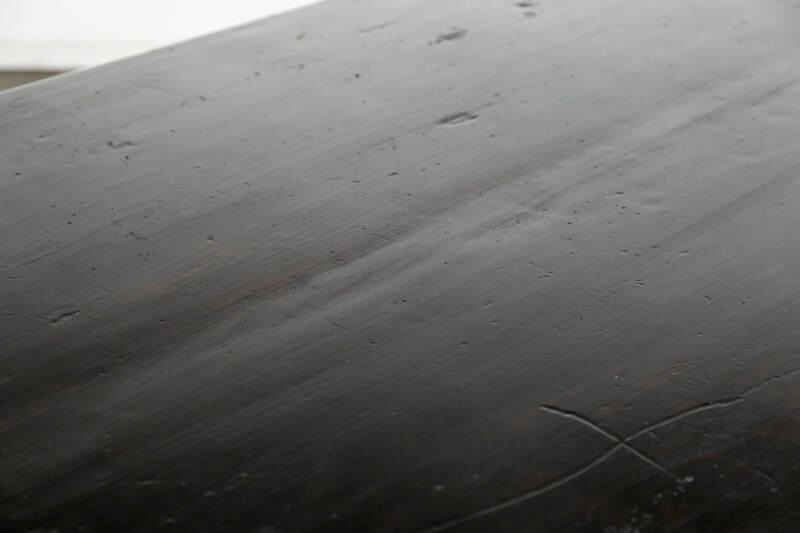 This monumental table from northern Italy was designed for a grand room. 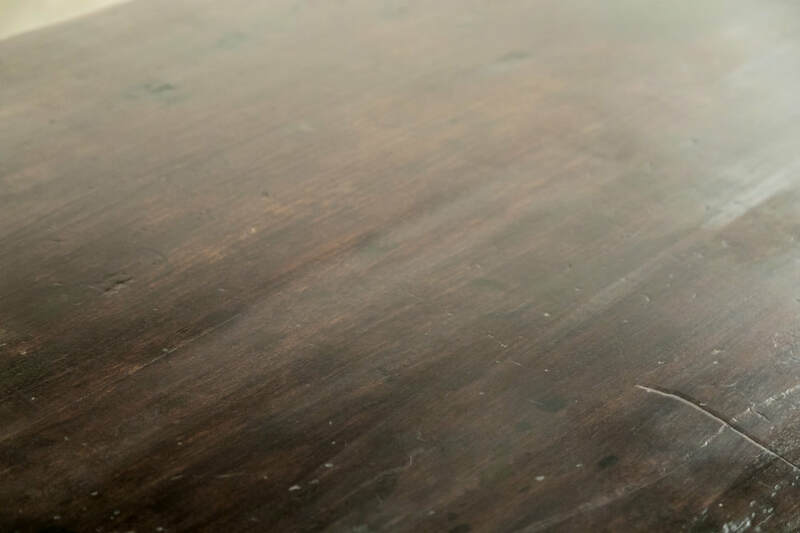 At almost 13.5 feet long, it seats fourteen very comfortably, making it suitable as a dining or conference table. 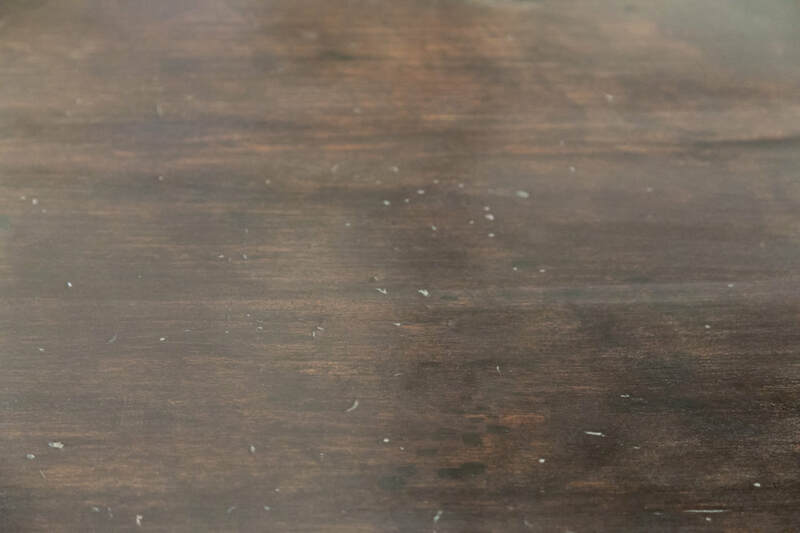 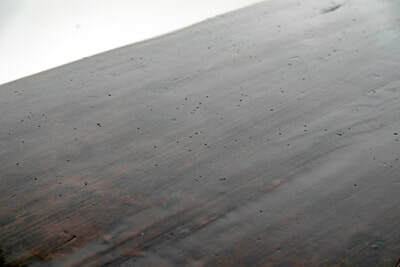 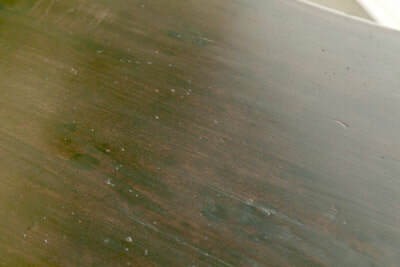 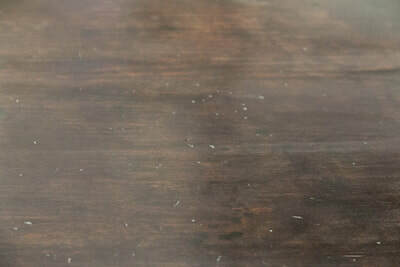 Thick and sturdy timbers able to withstand daily use for another century. The beautiful patina along with the stature of this impressive piece, would add a spectacular presence to any room.